World renowned Choreographer, David Allan. Showcasing over 110 local and internationally known dancers. 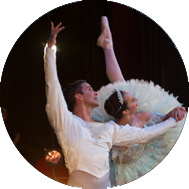 To provide mentoring, tutoring and academic enrichment, and instruction in ballet and the performing arts; and to promote and foster an appreciation for a greater exposure to ballet and the arts, including programs and activities designed to reach non-traditional performer and audiences. We encourage dancers and non-dancers to learn and grow through the art of dance. 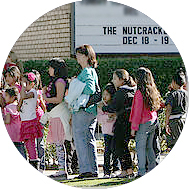 BRAVA is proud of our annual performace of David Allan’s Nutcracker… our performances highlight professional dancers and feature local dancers from The City of Riverside. Thank you to everyone who helped make 2018 a huge success! We are looking forward to another great year! 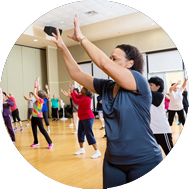 Helping Parkinson’s Disease (PD) and Multiple Sclerosis (MS) patients using directed motion through dance to improve their condition. 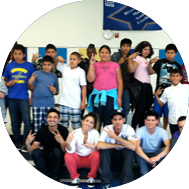 We are thankful for our sponsors and the help they provide to reach children and adults with the love of dance. BRAVA Partners with individuals and merchants. David Allan’s Nutcracker is Riverside’s Holiday Family Tradition for over 30 years, featuring the beloved characters of world renowned Choreographer, David Allan, performed on the areas largest stage. Showcasing the Nutcracker’s most spectacular choreography, from snowflakes to cannon fire, dazzling sets and gorgeous costumes, with a cast of over 110 talented and internationally known ballet dancers.